President Donald Trump has been hampered in his first month in office by an inexperienced staff that has failed to navigate Washington or prepare Trump adequately, says his former campaign manager. 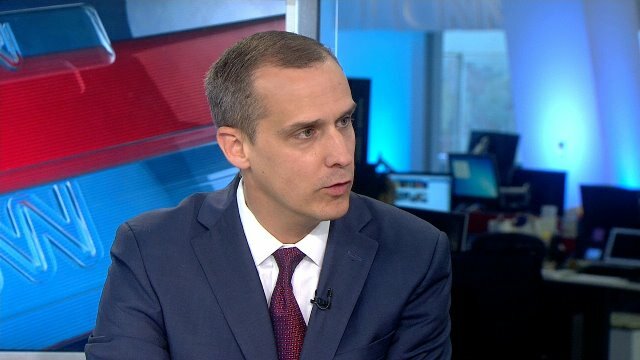 “I think you have a President who wants to move very quickly, who has a grand vision of what he wants to accomplish and is leaving the details to the staff to implement,” Corey Lewandowski told David Axelrod on “The Axe Files,” a podcast from the University of Chicago Institute of Politics and CNN. Lewandowski spoke before the President’s news conference Thursday, in which Trump claimed that his White House was running like “a fine-tuned machine” despite the controversy over his proposed travel ban and the early ouster of Lt. Gen. Michael Flynn as his national security adviser. During the hour-long conversation, Lewandowski, who has maintained friendly relations with the President, said Trump “has begun to fulfill (his) campaign promises” through a number of executive orders. But Lewandowski expressed hope that the White House will learn from its rocky debut and refine internal processes to minimize future political stumbles. “What I think you’ll see moving forward, hopefully, is a measured approach … making sure that you have vetted (policy) properly” internally within the administration and with members of Congress,” he predicted. As a way to get beyond its turbulent opening weeks, Lewandowski urged the White House to place a singular focus on the President’s economic message of bringing jobs back to America, securing the borders, fighting for better trade deals and making health care more affordable. “That’s the story that he has to tell, and everything else is a diversion,” Lewandowski said. One of those diversions was Flynn’s resignation as national security adviser. Flynn was forced to quit after misleading Vice President Mike Pence about the nature of Flynn’s December 29 telephone conversations with Russian ambassador Sergey Kislyak. The conversations reportedly included discussion of sanctions the Obama administration imposed that day on Russia for interfering in the 2016 campaign. The sanctions came after the intelligence community linked Russian agents to the hacking and dissemination of internal emails at the Democratic National Committee as well as those of Hillary Clinton’s campaign chairman, John Podesta. Lewandowski denied knowledge of any contacts between campaign operatives and Russian officials during his tenure as manager. Multiple current and former intelligence, law enforcement and administration officials have told CNN that Trump associates or members of his team were in constant communication with Russian officials and other Russians known to US intelligence during the campaign. Lewandowski was ousted as Trump’s campaign manager in June and then became a CNN political commentator during the election but has since resigned from that position. He said he has no idea whether former Trump campaign chairman Paul Manafort made contact with the Russians. Lewandowski and Manafort were considered part of two rival powercenters in the campaign during the time they overlapped. Manafort took operational control of Trump’s campaign after Lewandowski’s dismissal only to resign two months later, in part due to stories about his political activities in Ukraine. Manafort is one of the Trump campaign figures under investigation for alleged communications with the Russians during the period in which the Kremlin was said to be interfering in the US election, several current and former intelligence, law enforcement and administration officials have told CNN. Manafort emphatically denied that he was in contact with Russians known to US intelligence. “But let me say this, if anybody cross a line and give information to a foreign agent or foreign government or for intelligence official, whether that’s Paul Manafort or it’s Rick Gates or anybody else, I hope they’re held accountable,” Lewandowski said. To hear the whole conversation with Lewandowski, click on http://podcast.cnn.com. To get “The Axe Files” podcast every week, subscribe at http://itunes.com/theaxefiles.